Ruan driver Wayne Plunkett didn’t hesitate when he saw a pickup truck cross two lanes of traffic, careen into a cable-wire guard rail, and begin to smoke heavily on a major highway. Plunkett, of T187 in Columbus, MS, quickly grabbed his fire extinguisher and prevented the truck from burning. 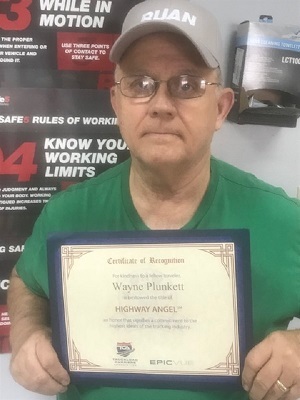 For his efforts, Plunkett was named a Highway Angel by the Truckload Carriers Association. "It was popping and cracking with all those wires under there. It was all smoke. I didn't want a fire," Plunkett told a local newspaper. Plunkett and other witnesses were unable to open the truck’s door to get the driver out, so Plunkett used the fire extinguisher to break the back window. 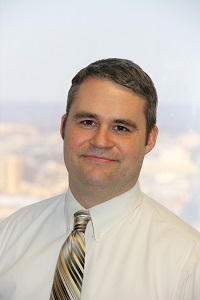 For his quick thinking and life-saving help, Plunkett was also honored with Ruan’s Extra Mile Award. 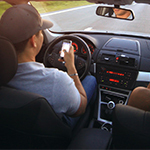 Since the program’s inception in August 1997, hundreds of drivers have been recognized as Highway Angels for the exemplary kindness, courtesy, and courage they have displayed while on the job.